A free, 30-minute consultation occurs with you and Marena Mitchell, founder of Bringing Therapy Home, by meeting at a location in the community setting (i.e. meeting for coffee) or by coming into our center-based location to discuss questions, concerns, costs, and next steps you may need to take. This is often for families that are "new" to the therapy process and unsure what to do next. Choosing a therapy provider is a significant decision and you should have the opportunity to meet with different providers to find the right fit for you, your child and family. Are you wanting speech-language services, occupational therapy, feeding therapy, special education services, or music therapy? An informal evaluation is often scheduled for an hour and includes a play-based assessment, observations, and a parent interview. An evaluation report is developed with results, recommendations and goals/objectives, if necessary. If your child currently receives services through a school district or through early intervention services, an informal evaluation is recommended rather than a formal evaluation. ​A formal evaluation is often scheduled for two hours or more and includes formal standardized assessments, observations, and a parent interview. An evaluation report is developed with results, recommendations and goals/objectives, if necessary. If your child does not receive services through a school district and/or early intervention services, a formal evaluation is recommended. Every therapy session includes direct therapy with your child and parent education. Therapy services are provided at our center-based location. Parents and/or family members are highly encouraged to participate in each session. Bringing Therapy Home offers groups for children in elementary and early childhood in the spring, fall, and winter for 8 weeks. Groups for elementary aged children occur on Thursday evenings. Groups for children in early childhood occur on Friday mornings. Our mixed aged group occurs on Saturday mornings. All groups are two hours and focus on social-languages skills, expressive language, receptive language, and play skills. ​Groups have a 4:1 adult/child ratio. All groups are led by a licensed speech-language pathologist and/or a licensed occupational therapist. The sessions can be scheduled weekly, monthly, or bi-monthly. The parenting mentor provides ideas and solutions regarding your child's development. The session is targeted specifically for your child (sleep, toileting, routines, play, etc.). Some families focus this session on a child that does not have special needs; others utilize this session on their child with special needs, but focus specifically a session on a topic, such as sleep. Some families utilize this service for grandparents and/or other family members that may spend a considerable amount of time with your child. $250.00 for up to 40 people and 1.5 hours of training by a speech-language pathologist. $200.00 for up to 40 people and 1 hour of training by a speech-language pathologist. Handouts are provided for each staff member along with the presentation. This occurs at your location (preschool setting, doctor office, meeting group location). The in-service is interactive, focused on the needs of your staff members (topics include: how to support a child with special needs in a community preschool, typical speech and language development and when to be concerned, how to naturally embed developmental skills into your preschool routine, promoting a child's social-emotional skills, identifying children that may need additional support). ***Additional staff members are $10.00/person. If you have additional questions, please contact Marena Mitchell, M.S. 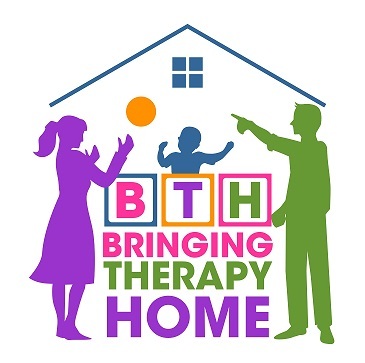 CCC-SLP at Bringing Therapy Home at marena@bringingtherapyhome.com or by calling 913-754-6643.